Clarksville, TN – This fall, the Austin Peay State University (APSU) Department of Languages and Literature will take a look at cinema’s zanier side during its Slapstick Film Festival. Every year the department, which offers a film studies minor, presents a free film genre series that introduces students and community members to masterworks in different film categories. 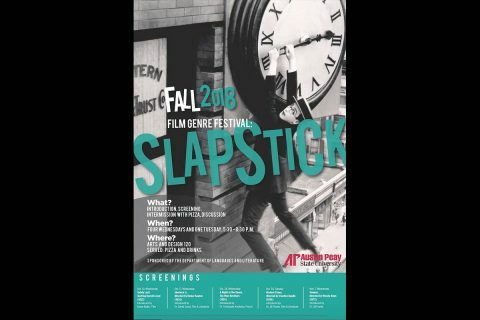 Slapstick Film Festival to be held this fall at Austin Peay State University. Last year, the series focused on science fiction films, while this year audiences will enjoy humorous works by such legends as Buster Keaton, Charlie Chaplin and the Marx Brothers. The Slapstick Festival begins at 5:30pm on Wednesday, October 10th, 2018 in room 120 of the APSU Art + Design building with a screening of “Safety Last!,” Harold Lloyd’s classic silent comedy. “As a piece of comic architecture, it’s impeccable,” the late Orson Welles said. “Safety Last!” is on the American Film Institute’s Top 100 lists for Best Comedy, Best Thrills and Best of 100 Years. Lloyd plays a charming boy-next-door who encounters the myriad mishaps common to the slapstick genre. One of the movie’s most memorable scenes features Lloyd dangling from a skyscraper. The festival will present films at 5:30pm every Wednesday in October, and one Tuesday in November, in the APSU Art + Design building, with an intermission for pizza and beverages. 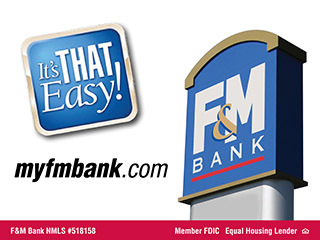 Austin Peay faculty members will also present information and lead discussions on the films.